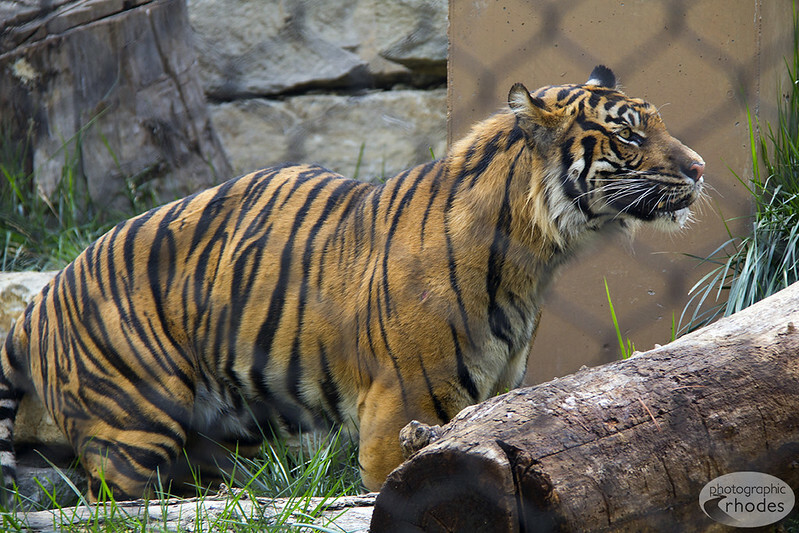 This Sumatran tiger is one of the most impressive animals at the Kansas City Zoo – quite the opposite of yesterday’s photo. Thank you! I used my 18-200 mm lens, but standing back a ways and zooming in creates a nice blur effect on the cage. Care to share your photo?